The reasons for continuing to remember those who gave their lives for freedom never rang so vividly true for me than with this single snapshot taken yesterday near Southsea Common, Portsmouth. 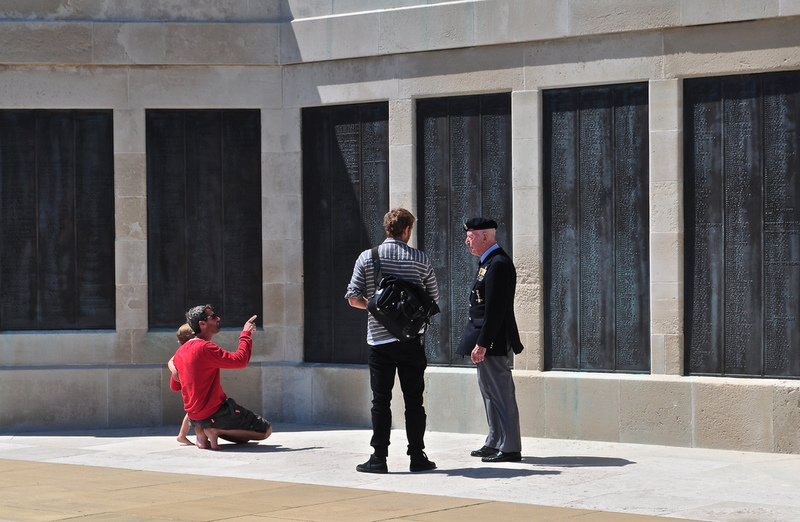 An elderly man was photographed looking for his friend’s names on the cenotaph by the seafront by a young journalist. The hack then shook the hand of the gentleman and asked for his story which he noted down on his iPhone. A young child nearby was watching and ran to the lists of bronze engraved names, asking Dad what it was all about … and the young father did his best to explain.